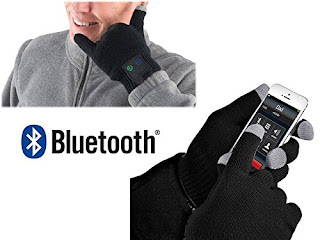 What do you think of this Bluetooth Gloves? You know the universal hand sign for "call me". Now you can really answer your phone when they call using your hand and fingers. Your glove will vibrate when a call comes in and you will never miss a call with the phone in your purse or bag. Perfect for every sport, from skiing to running!